Added on 23 August 2018 . By Anisah Audu. 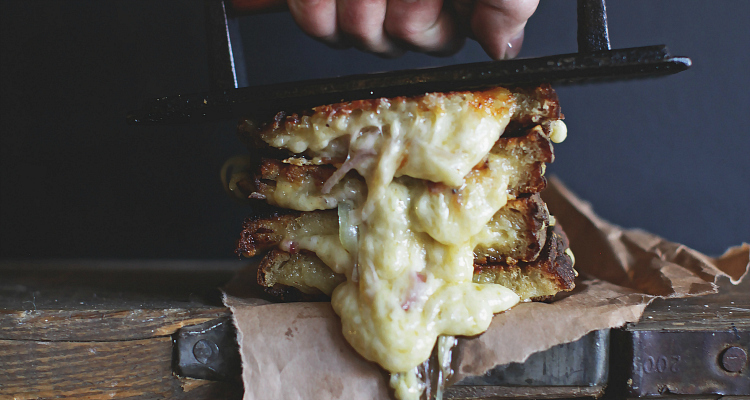 Camden's infamous Cheese Bar is launching a second restaurant in Covent Garden. Yep, that's right - the cheese gods have answered our prayers and are about to grace us with another cheese-filled restaurant. The guys behind The Cheese Truck and The Cheese Bar in Camden have set their sights on a brand new venue in the heart of the West End, where you can get your hands on their signature cheese toasties, melt-in-the-mouth mozzarella sticks and sip wine in an underground bar. The Cheese Bar will require a hefty investment and they're aiming to raise £200,000 to bring the restaurant to life. Having already funded 30% of that target in 24 hours, it looks like that dream could be a reality very soon. Investors will not only benefit from owning shares, but can also receive rewards from free meals to private fondue parties. Can you brie-lieve it? You can invest in The Cheese Bar now. In the meantime, check out The Cheese Bar's first venue in Camden at Unit 93, 94 Camden Stables, London NW1 8AP.